Jimmy and Billy, together forever. Less than a month ago, Arc System Works announced that the all-new Double Dragon IV would be coming to PlayStation 4 and PC at the end of January. 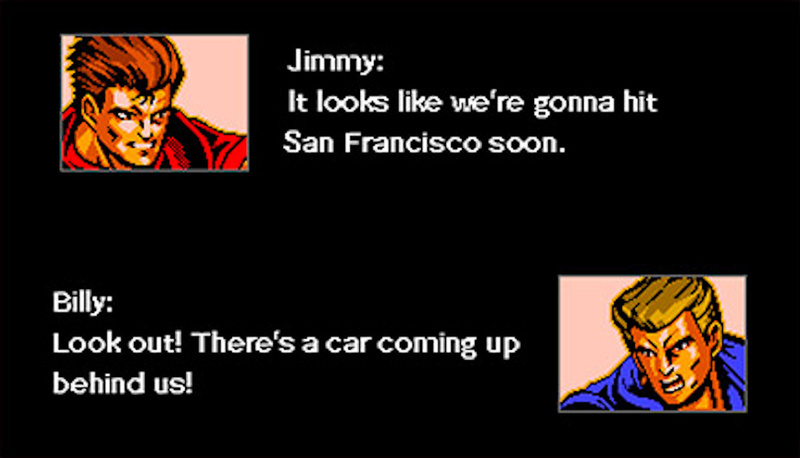 The teaser trailer revealed that the new game would use sprites from the NES games, but little else. Fast forward a bit, and now we have solid details and screenshots that reveal the scope of Double Dragon IV. A recent update to the Double Dragon IV site revealed tons of new details about the game. Although we still don’t know much about the actual story, the developers have revealed its place in the series timeline. As it turns out, the order of the previous games is as follows: Double Dragon>Double Dragon III>Double Dragon II. 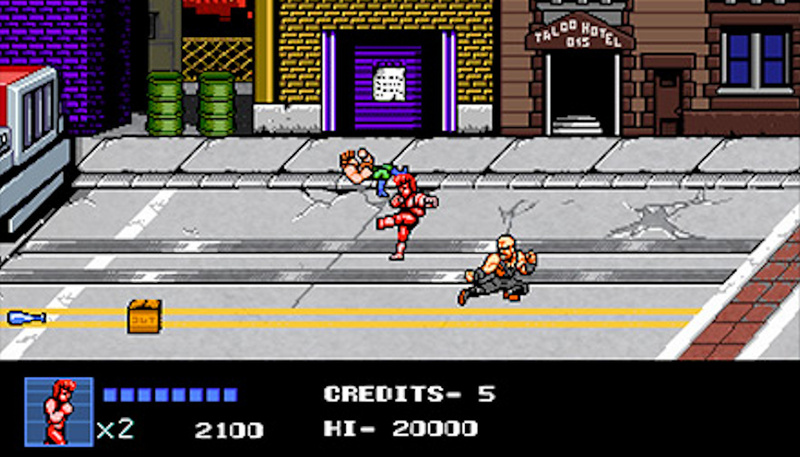 Thus Double Dragon IV directly follows the conclusion of Double Dragon II, which is appropriate since the new game uses many sprites from part II. Double Dragon IV offers three modes: Story, 2P Duel, and Tower. Story mode supports 2-player local co-op. Initially, players can only select Billy and Jimmy Lee, the Double Dragon brothers and practitioners of the martial art Sou Setsu Ken. Several enemy characters can be unlocked for future playthroughs, though. 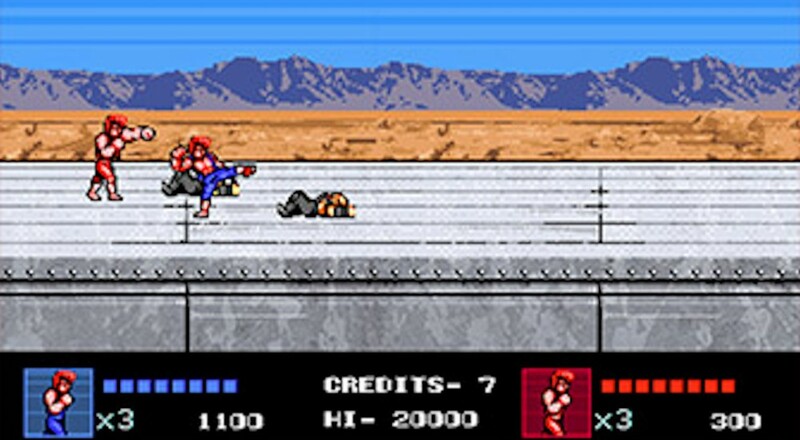 2P Duel Mode originated in the NES version of Double Dragon. Since that game lacked co-op, dueling was the only way to play with another person. The new Duel Mode offers a whopping 20 playable characters, though some of those must be unlocked in other modes. Two local players can duke it out with Billy, Jimmy, and most or all of the enemies from Story Mode. Tower Mode is a brand-new survival mode. If the teaser trailer is to be believed, this mode will initially be locked. I suspect we’ll gain access to it by beating Story Mode. In Tower Mode, one or two local players must clear as many floors as possible on a single credit. When you run out of lives, you’ll be ranked by floors cleared, enemies beaten, and points. Reaching milestones in Tower Mode will unlock characters for use in the other modes. Although Double Dragon IV is obviously a low-budget game and has been designed exclusively with local co-op, online play won’t be entirely impossible on PlayStation 4. That version of the game supports Share Play, a PlayStation 4 feature that allows two players with PlayStation Plus to play local co-op games online together. Share Play sessions are limited to one hour durations, so let’s hope the Story Mode won’t run over that limit! Double Dragon IV is a brand new sequel that celebrates the 30th anniversary of the Double Dragon series. It combines sprites from NES Double Dragon II with original 8-bit sprites for over 8 new enemies, completely new widescreen backgrounds and levels, and a fresh story with original artwork. Double Dragon IV arrives on PlayStation 4 on January 29 and Steam on January 30. We’ll have a full co-op review once it’s out! Page created in 1.2793 seconds.